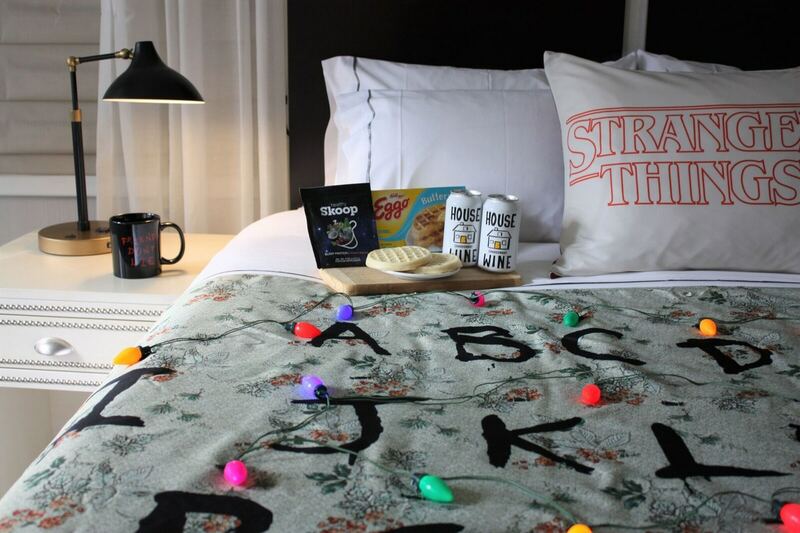 To celebrate the long-anticipated season 2 premiere of Netflix‘s Stranger Things, The Gregory Hotel in New York City is offering themed rooms inspired by the series. Fans can spend their Halloween weekend binge-watching the second installment inside a luxurious suite that features a wall tapestry of Joyce Byers’s living room alongside food and beverage, including Eleven’s Eggo waffles, “Yellow Egg” Chardonnay, and “Sleep Protein” to help you knock out after watching the show’s nightmarish scenes. Not to mention, complimentary gifts such as a blanket, pillow and a mug that reads “Friends Don’t Lie” are offered in the hotel’s aptly titled Ex-stream-ly Cozy Package. Book a room now at The Gregory hotel’s official website. Rates start at approximately $249 USD/night.